A stay at UtrechtCityApartments Plompetorengracht places you in the heart of Utrecht, walking distance from Zocherpark and Dutch Waterworks Museum. Featured amenities include multilingual staff, luggage storage, and laundry facilities. A roundtrip airport shuttle is available for a surcharge. When you stay at Hotel Boschlust in Oudemirdum, you'll be on the beach and within a 5-minute drive of IJsselmeer. The front desk is staffed during limited hours. Free self parking is available onsite. Located in Hilleshagen, B&B Kasteel Nijswiller is within a 10-minute drive of Klooster Wittem and Parkstad Limburg Stadium. Free self parking is available onsite. Located in Amsterdam (Oud-Zuid), Frans Hals Loft is within a 10-minute walk of Heineken Experience and Van Gogh Museum. Featured amenities include multilingual staff and luggage storage. 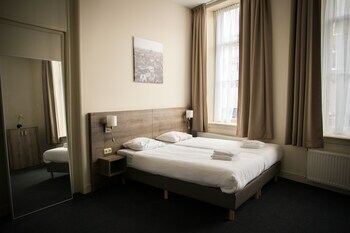 A stay at this apartment places you in the heart of Amsterdam, within a 10-minute walk of New Church and Dam Square.